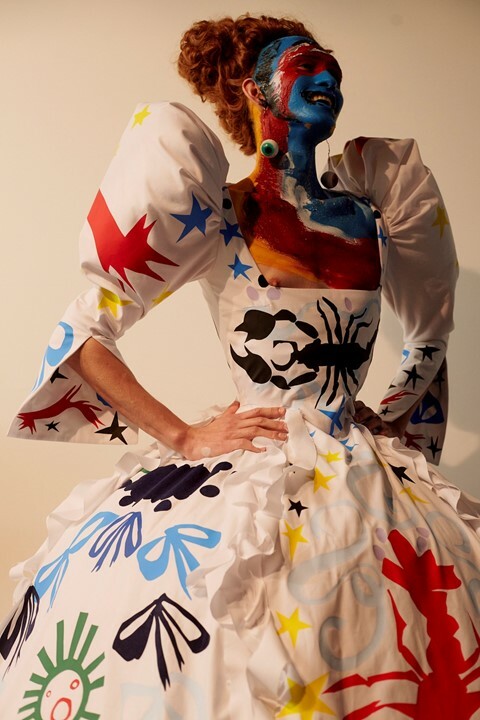 When it comes to evolving beyond what you might think a traditional fashion brand should be, Charles Jeffrey is definitely one name that comes to mind. In addition to his Loverboy club night, his label of the same name has a history of shaking up the London menswear scene. While his collections always have an artistic vibe – either through hand-painted clothing, sets and walking sculptures – they have always existed in a fashion space... until now. His latest project will see him debut on the art scene, with the announcement that he would be hosting his first exhibition later this month. Entitled The Come Up, the exhibition will have a multimedia approach. As well as sculptures and music, there will also be a performance directed by Theo Adams with dancers wearing costumes designed by Jeffrey. The pair have worked together on a number of projects before, most recently at Jeffrey’s SS18 show in June where his dancers took the runway wearing fantastical sculptures courtesy of Gary Card.